2014 Was a Grateful Year! 2014 was a fantastic year for golf. As the year progressed, I was fortunate to expand my golfing friends through social media. By taking a step into the 21st century, I was introduced to a whole new world of golfing enthusiasts who share the same affliction for this wonderful sport. 2014 marked some milestones for The Grateful Golfer. I was able to lower my handicap to its lowest point ever! I played many great courses that included one of Canada’s most famous – Glen Abby. And I was able to play 80 plus rounds with great friends! It was definitely a great year! The Grateful Golfer blog expanded exponentially this year. I was able to post 199 articles on my blog and an additional 45 articles at PunditArena.com. This may seem to be robust, but when you are writing about something you really like, it is very easy to put pen to paper. As I reminisce about 2014, I become invigorated for what is to come! 2015 is going to be a great year for all things golf. My goals for golf in 2015 are pretty basic. Continue to share my thoughts, experiences and tips about golf on The Grateful Golfer. To continue the positive interaction between other golfing fanatics. And to complete my goal of being a scratch golfer! Well, it all starts today! I am a grateful golfer! See you on the links! A great year indeed with lots to be grateful for! 80+ rounds and getting your handicap to your personal lowest is an incredible year! 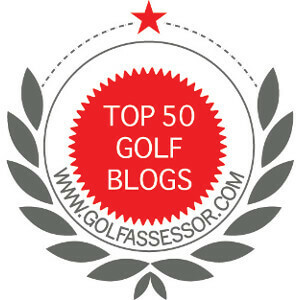 Keep up the great work on the blog, I look forward to reading your posts and discussing golf with you through 2015! Thanks. It was a great year and 2015 is already shaping up to be better. Might have a chance to play St Andrews! Still in the planning stage. Your trip sounds amazing! That would be fantastic! St Andrews ranks very high on my bucket list…keep us posted on your plans! I am looking forward to the opportunity for sure. Just making plans now. Jim, you should also be grateful that you have a duck to keep you company on those long, cold and lonely days! I have “gratefully” enjoyed your blogs and also look forward to the 2015 wisdom that you will share. Our trip to St Andrews in April will be memorable, however I know that you will want to take the duck back to it’s home in Ontario! Best wishes for a great 2015 and looking forward to seeing you on your European vacation! You’re welcome. I read it and i like your improve.